Suitable for dry as well as wet. Ergonomic design for a more comfortable. Design of Charging and discharging LED indicator. Removable shaving head for easy cleaning and care. 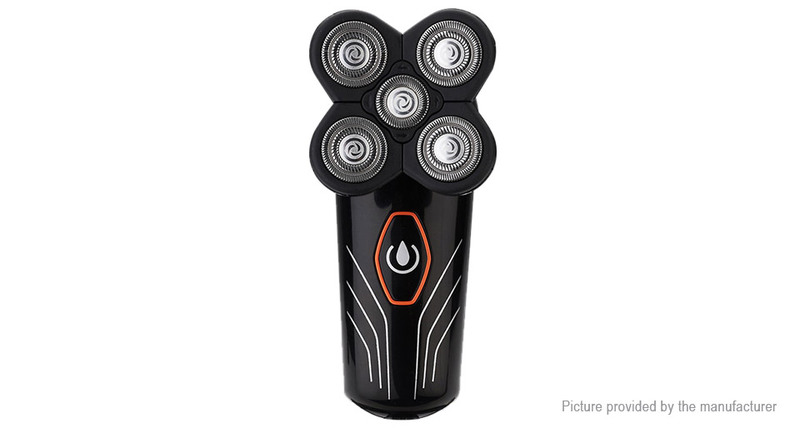 Precision trimmer for safe, gentle trimming and shaping. The whole body washable design can be washed directly with tap water, which is safe and practical. Rotating 4D cutter head.double ring independent floating blade. Smart floating system,fit your face. The hair shaving double ring floating knife net, more close to the hair root,can quickly remove hair, do not hurt the skin.